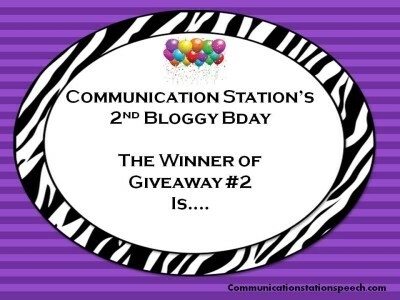 I’m having a giveaway. Click here or on the picture to find out all the details! 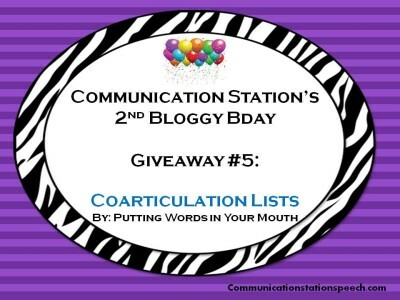 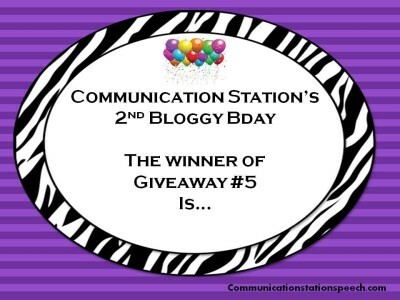 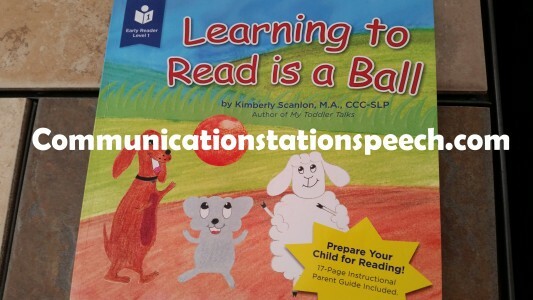 2nd Bloggy Bday Giveaway #5: Coarticulation Lists-Bundle! 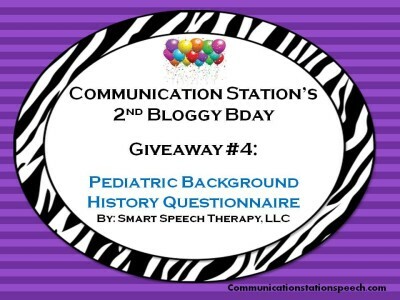 2nd Bloggy Bday Giveaway #4: Pediatric Background History Questionnaire! 2nd Bloggy Bday Giveaway #3: Itty-Bitty Books for Articulation Practice-complete bundle! 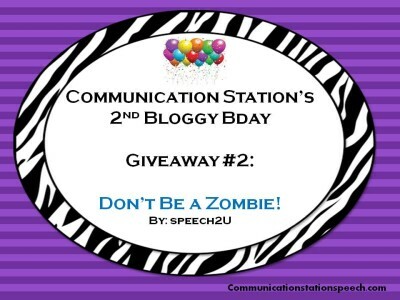 2nd Bloggy Bday Giveaway #2: Don’t Be a Zombie! 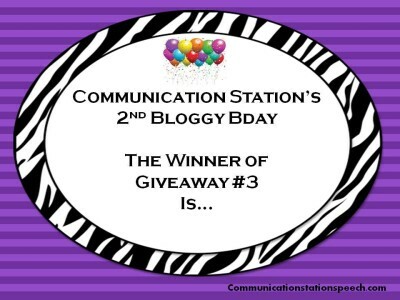 Winner of Giveaway #1 is….